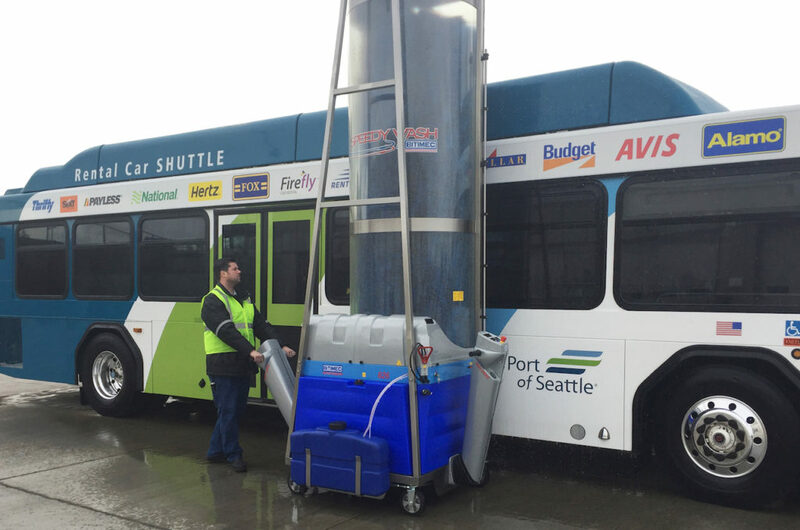 The bus wash systems have been adopted by cutting edge airports world-wide and in the USA from Indy (consistently voted Best Airport in North America by Airports Council and Condé Nast Traveler) to Sea-Tac (the fastest growing airport in North America). 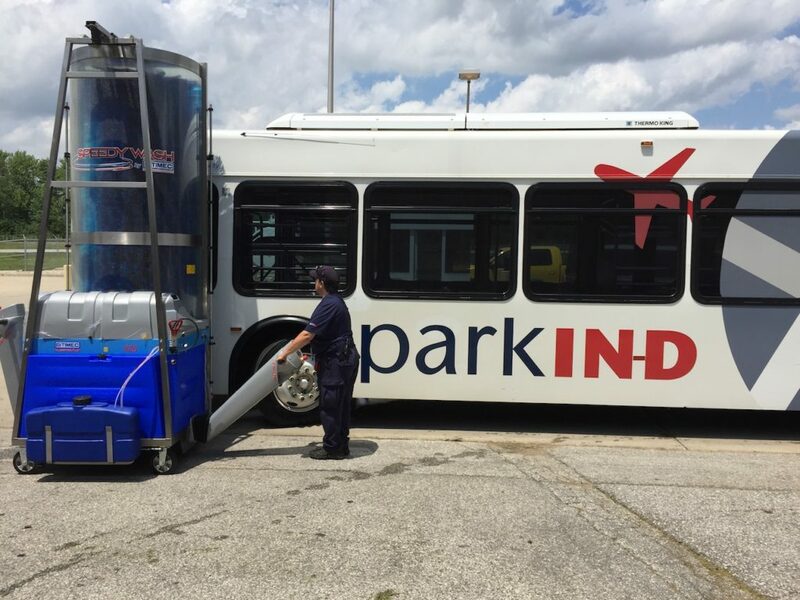 “The Wash-Bot provides unlimited elbow-grease to keep our buses sparkling clean even after snow-storms” Says Indy’s Anne Perkins. And at Sea-Tac 2 Wash Bots will be washing car rental shuttles at one location and the Cobus People Movers at another. Bitimec’s Wash-Bots are advanced, reliable, power-brush machines immediately delivering positive ROI, by allowing a single operator to wash a bus as fast as a 6 person-strong wash crew. The operator simply walks the self-powered systems around the vehicles, as they apply soap, rinse-water and power-brush, all at the touch of a button. The small footprint machines do not need a dedicated building because they can be tucked out of the way when not in use. The line is being re-branded as “Wash-Bots.com” to immediately portray ‘Washing – Power-Machines & Modern Technology’.